Published August 15, 2018 Filed under Humor. Total of no comments in the discussion. We’re not even kidding about needing a healthy snort as we cracked our knuckles at the keyboard. And who can blame us with lead stories like this one…? As we understand it, a woman named Omarosa (named after the ranch where the Cartwrights lived in the TV series “Bonanza”) was fired from the White House for multiple violations of security protocol, and is now trying to sell an autobiography by claiming that she heard (but can’t prove) Trump say the dreaded n-word on a tape back when they were both entertainment media whores rather than political media whores. Omarosa is widely considered to be a pathological liar, but we can’t honestly take any pleasure from a smackdown tweet which was too clearly written by an impulsive moron. (Note: views expressed while under the influence of alcohol may not represent the views of the management when cold sober, assuming that ever happens again). Has Trump ever used the n-word in a bad way? We don’t know and, frankly, we don’t care just as long as his policies are fair to everyone (and so far, they seem to be). We hired Trump to get a very dirty job done, and were willing to overlook a lot of his (ahem) colorful qualities in the process. And we still feel that way. And he may not even be doing that, owing to a “Go Fund Me” campaign designed to slip greenbacks into the pocket of “a proud husband and father, a veteran of the US Army and counterintelligence Special Agent who spent more than two decades in a job he loved at the FBI.” Granted, it was time spent subverting justice and screwing the American people. But still, two decades is two decades. Or, according to the President, fourteen decades in Omarosa years. Which is why Strzok’s money grab has generated nearly $350,000 online at the time of this writing. Which isn’t surprising. $5 from Bill in Seattle, $15 from Judy in Boston, $250,000 from Hillary in Chappaqua…it all adds up! But even with the dreadful news stories above, we still pride ourselves on maintaining our glass half full attitude. 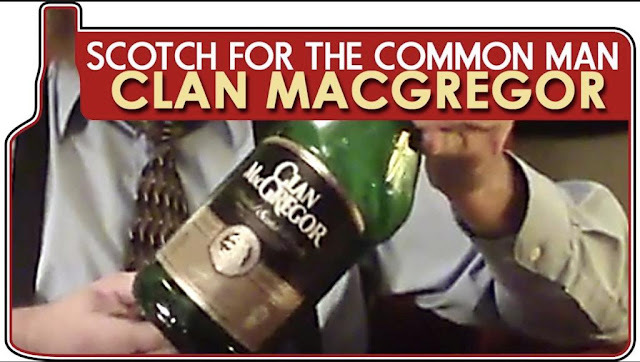 Although at this very moment, our freaking glass is empty…so we need to splash a little more Clan MacGregor on the rocks. Or, if we’re really ambitious, ice cubes.